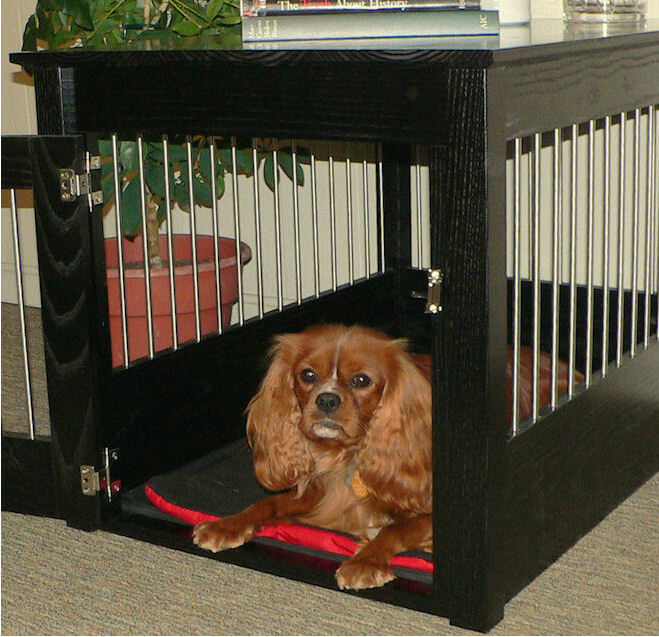 Our Wood Dog Crates are made with Solid Oak or Maple hardwood and accented with Solid Stainless Steel rods. 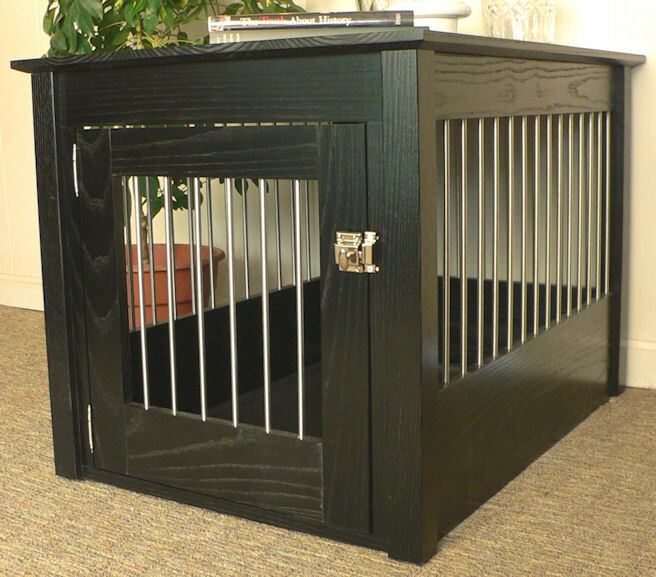 These truly exceptional wood end table dog crates have several finish options. The stricking 303 grade Stainless Steel Bars are 5/16" in diameter, have brushed finished and are spaced 1 7/8". Instead of a built-in permanent wood floor that can be damaged by moisture, all crates have removable heavy duty plastic floor pans for ease of cleaning. Assembly required.